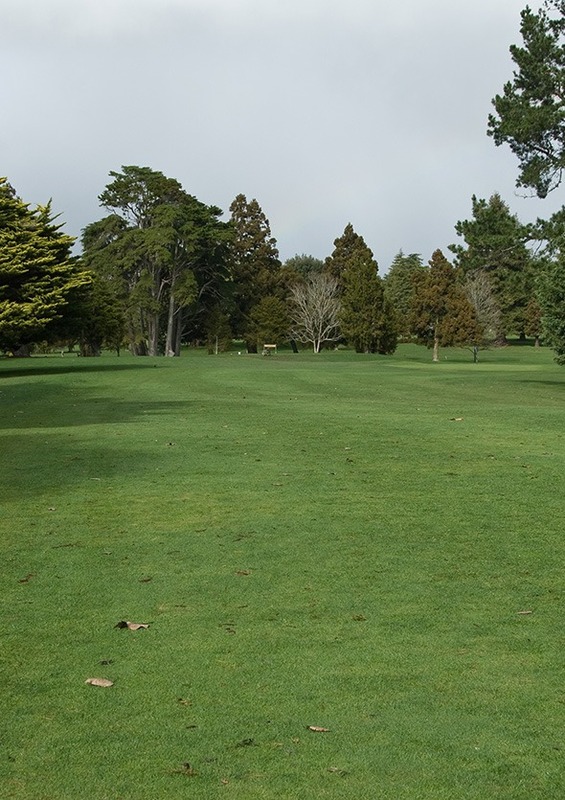 Curved and crested fairway with several risk and reward challenges; often plays longer than expected, through the prevailing wind-effect on approach shots. 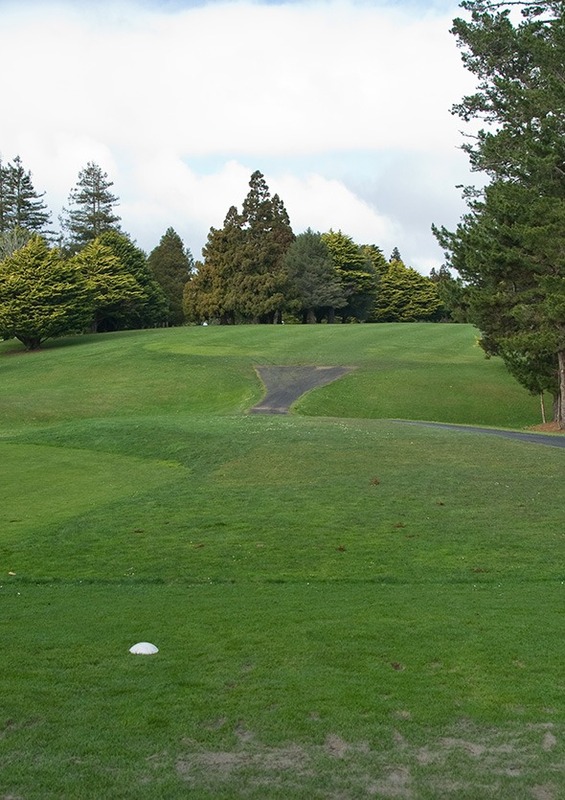 Precision tee shot required, to the top of the rise on the left side. 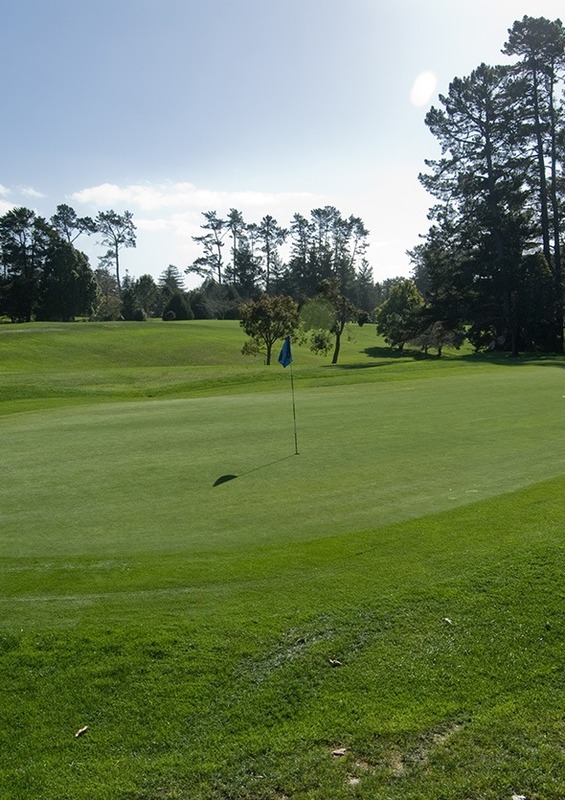 Very long, narrow, sloping green tucked around trees to the right. Miss the green on the left side and face a very difficult 'up and down'.